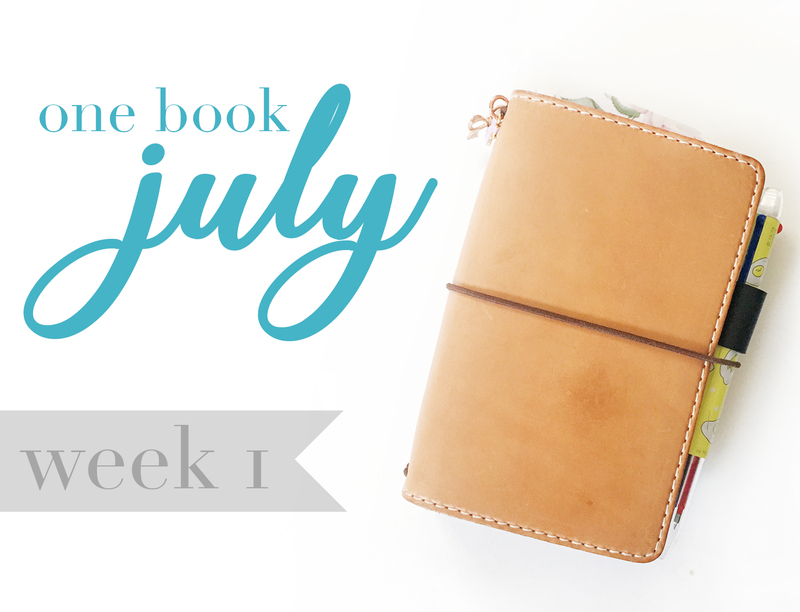 If you are in the planner community, you are aware of an event held every July called "One Book July." To summarize it simply, it is a month to either simplify or experiment with your current planner or writing system by making it work the most efficiently for you. Or perhaps you wanted to try something new and you have been waiting for the right time to switch. One Book July for me means simplifying everything. These past couple years I have been carried away with finding the "perfect" planner, but I slowly realized that "planner peace" is a mindset for me and not a system in itself. Before I discovered the planner community, I used a $5 target planner and it worked great for me. I let all the fun new options and decorations get in the way of being a productive person and while that is the very reason why I love this community, sometimes I forget about planning and focus a little too much on the aesthetic. I chose the pocket size travelers notebook for this month since I don't have a lot going on at the moment. It gives me the perfect amount of space for all my small appointments without having to carry much weight on me at all. It is also super customizable so if I ever decide a particular insert isn't working for me, I could just remove it. If you are interested in the inserts I used, Check out my youtube video I linked down below! So far, my current setup has been working really well for me! 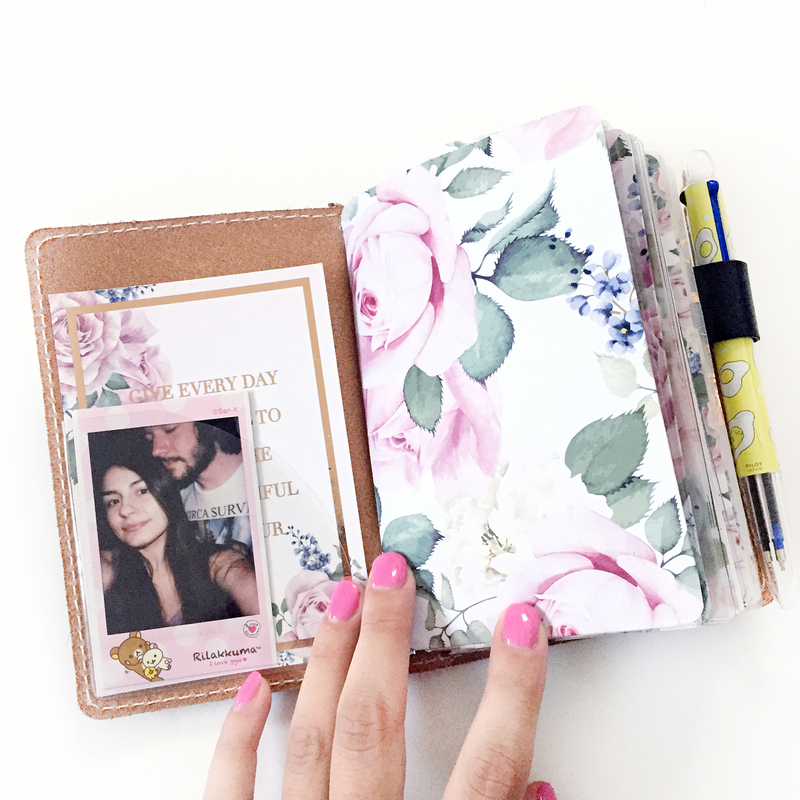 I mainly use my Blog/Youtube inserts and my daily inserts from AnniePlansPrintables, but I enjoy having my monthly insert and general notes inserts for long term planning and grocery lists if the occasion ever arrises. I received a TN kit from Isabelle Owl on Etsy that includes some beautiful acetate and rose dashboards which are pictured in the photo above. It makes my little notebook so much fun to look at and play around with too. If you are interested, there are new monthly kits released every so often so make sure to check out her etsy shop! I really think I will be able to stick with the pocket size for the rest of the month, but we will definitely see if my opinions change next week! Are you going to make another beautiful year at a glance calendar for 2018? If not might you email the names of the lovely fonts you used for last year?